Previously known as Iron Mend, the Tenacious Tape Iron-On Neoprene Patch can fix rips, holes and tears on anything made of neoprene. Just cut the neoprene patch to fit, and use your home iron to create a permanent repair. Tenacious Tape Neoprene Patch is also perfect for reinforcing high-wear areas, like elbows, knees and under arms. The iron-on patch is lined with BARRITEX for extra abrasion resistance. 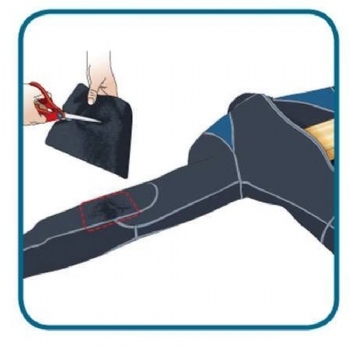 Tenacious Tape may be used to repair neoprene dry suits, wet suits, waders, neoprene gloves and boots, orthopedic supports, and lycra body suits. The Tenacious Tape increases garment life and the stretch fabric allows flexibility and comfort. Repair your neoprene in seconds with your ordinary household iron and included heat shielding paper. 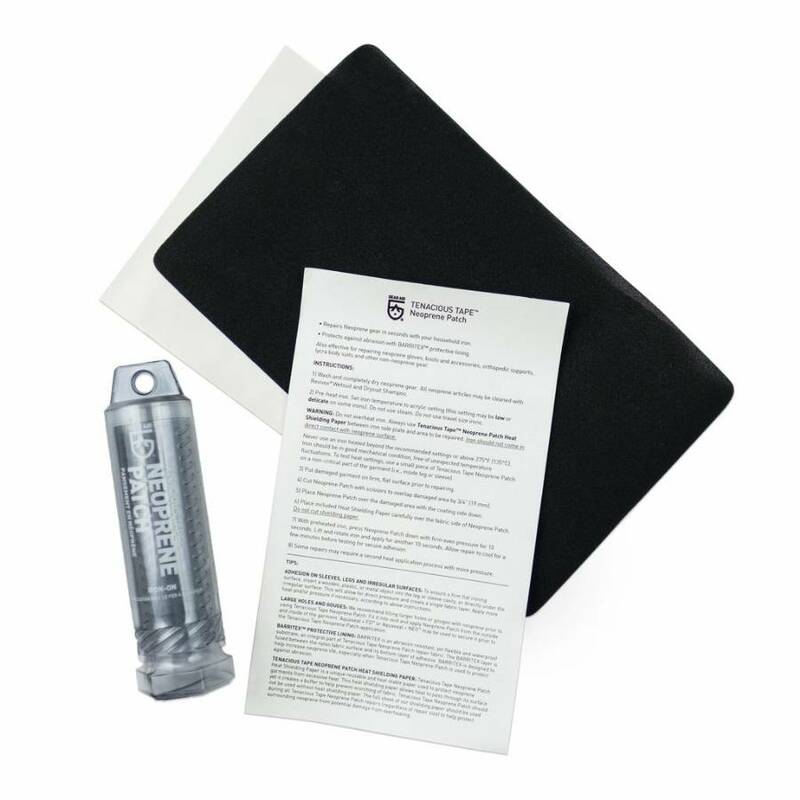 The heat shielding paper is a unique, reusable and heat stable paper used to protect neoprene garments from excessive heat by allowing heat to pass through its surface while creating a buffer to help prevent fabric scorching. 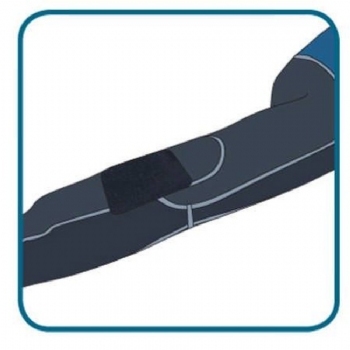 Tenacious Tape has a Barritex protective lining that protects agains abrasion with a flexible and waterproof substrate which is an integral part of Tenacious Tape repair fabric for neoprene. The Barritex layer is 'sandwiched' between Tenacious Tape's nylon fabric surface and its bottom layer of urethane adhesive. 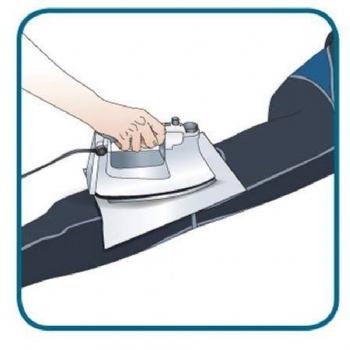 WARNING: Do not overheat the iron and always use Tenacious Tape Heat Shielding Paper between the iron and repair patch. The iron surface should not come in contact with the repair patch or neoprene. Put damaged garment on firm, flat surface prior to repairing. Cut Tenacious Tape with scissors to overlap damaged area by 3/4 inch and place the patch over the damaged area with the urethane-coated side down. Place full sheet of heat shielding paper paper carefully over the Tenacious Tape patch.